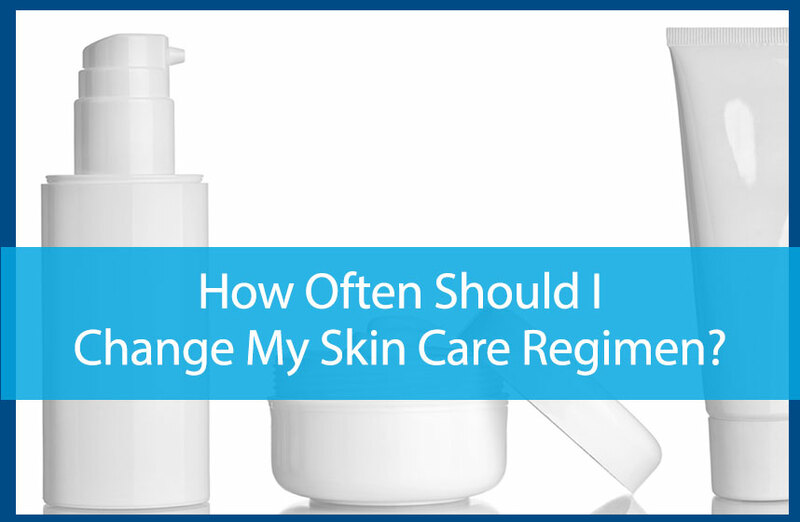 How Often Should I Change My Skin Care Regimen? When it comes to taking care of your skin, consistency is key. The only way to leave your skin with the healthy glow that you desire is to keep up with the regular care and maintenance that your skin so desperately requires. However, consistency in keeping up with your skin care doesn’t mean you have to do the same thing every day, all year-round. In fact, serious benefits exist in mixing up your skin care routine throughout the year. You very rarely would find yourself wearing the same outfit on a hot summer day as you would on a cold winter afternoon. Just as you have to change up your wardrobe to keep up with the seasons, it is a good idea to change your skincare routine to accommodate for the changes in weather. For this reason, many experts recommend switching up your skin care routine at the change of seasons. Keeping a seasonal skin care routine can help you give your skin what it needs throughout the entire year. Use deeply hydrating products in the winter to compensate for lost moisture from the cold, harsh air. It is also a good idea to use hydrating products on your hands and lotion liberally during the winter to prevent cracking skin from the dry air. During the hot summer months, hydration isn’t as much of an issue — but moisture creates its own set of problems. You need to switch to products that include a strong SPF to help prevent sun damage, and reduce your use of exfoliating products as they can increase your risk of experiencing UV damage. Throughout the spring and fall, you’ll want to start making adjustments as needed to accommodate for the shift from warm to colder temperatures. Pay attention to your skin’s needs. When you begin to notice dryness on your face as the winter months approach, start shifting your skin care routine over to one that will help your skin lock in more moisture. However, be careful not to abandon your summer SPF during the winter altogether. While your risk of UV damage is highest during the summer, if you are going to spend any time outside in the cold winter air, you may still find yourself exposed to UV rays. The best thing you can do is to pay attention to the changes in your skin throughout the year, and make adjustments as needed. You don’t need to figure out what your skin needs all on your own. By seeing your dermatologist twice a year, you can get professional support in determining what your skin needs, giving you the advantage at keeping your skin healthy all year-round. https://availdermatology.com/wp-content/uploads/2017/10/changeskincare.jpg 560 858 John Lenz /wp-content/uploads/2017/08/logo.png John Lenz2016-11-22 15:44:072017-08-30 19:35:20How Often Should I Change My Skin Care Regimen?